Aged 35, Corporal Allbutt came from Stoke-on-Trent and was married with two children. Corporal Allbutt joined the 16th/5th The Queen’s Royal Lancers in 1989, and saw action on Operation Desert Storm in early 1991. After the Regiment was amalgamated into the present Queen’s Royal Lancers, he deployed on operations in Bosnia on three separate occasions, while developing his career as a Non Commissioned Officer in an armoured regiment. The Army was Steve’s life. He had wanted to join since he was a little boy. Although he was a quiet and reserved man he had a brilliant sense of humour and was a loyal and devoted friend and colleague. He was also very romantic - if we were going out anywhere he would often buy me flowers. I sometimes would find them in different rooms in the house. Just before he left for the Gulf he planted some daffodil bulbs in our garden as a surprise, so they’d come up while he was away. We loved each other deeply and words cannot express how much I’ll miss him. Steve was immensely proud to belong to the Army, it was something he thought was so good and believed in. He doted on Debbi and their two boys, Connor who is eight and Joshua aged 14. He was also a devoted only son to me and his father Colin, brother to his sister Lisa and her fiance Jason and will be missed forever by us all. Stephen Allbutt will be remembered as an immensely dedicated and competent NCO who was accordingly respected by his peers. Nothing was too difficult, displaying a “can do” attitude and a reassuringly dry sense of humour. He was a passionate Stoke City FC supporter, and a keen all-round sportsman. He had a very promising career, having been identified as a strong candidate for promotion to Sergeant next year. He will be sorely missed by all ranks of the Queen’s Royal Lancers. It is with deep regret that I have to announce the death of two soldiers from the Queen’s Royal Lancers operating a Challenger 2 Main Battle Tank. The soldiers were killed last night in a friendly fire incident with another British Challenger during a period of multiple engagements with Iraqi enemy forces on the outskirts of Basrah. Regardless of thorough training, careful planning, excellent night vision equipment and combat identification measures, in the type of operation in which we were engaged, and in the heat of battle, there is always a risk that incidents such as this may occur. The land forces in the Middle East extend their sincerest condolences to the families of the soldiers, and the members of the Regiment. Two other soldiers were seriously injured, and have undergone surgery. Aged 19, Trooper Clarke was single and came from Littleworth in Staffordshire. He joined D Squadron of The Queen’s Royal Lancers in February 2002, and immediately deployed to Kosovo on peace support operations. Having had a thoroughly rewarding tour, he volunteered to augment C Squadron for their deployment to the Gulf. 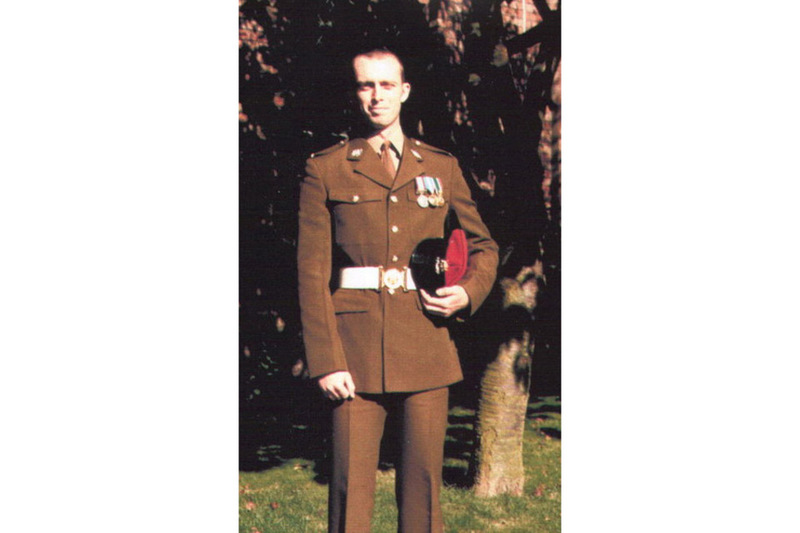 David started his career at the Army Foundation College in Harrogate in 2000 and his passing out parade was one of his proudest moments. In his short time as a soldier he served in many places including Germany and Kosovo and was awarded his medal for service in Kosovo. 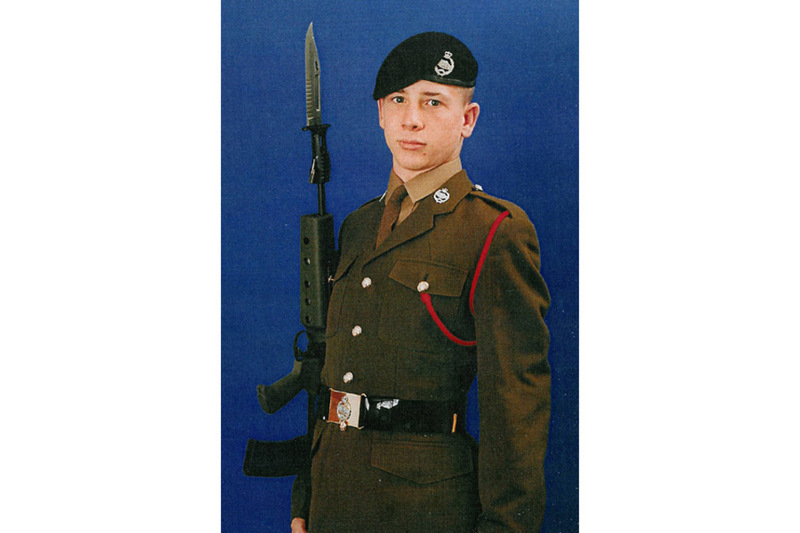 He loved the Army, he loved his family and was proud to be in the Queen’s Royal Lancers. He was a keen sportsman who played for Stafford Rugby Club when he was on leave. He was looking forward to becoming engaged to long-standing girlfriend Rachel on his return to the UK. David was serving in Kosovo when his Nan passed away last year and he was not in a position to return home for the funeral. He was hoping to pay his respects by spreading her ashes in Wales. We now wish to spread their ashes together. He was greatly loved and will be sadly missed by all his family. In the short time he served with the Queen’s Royal Lancers, Trooper Clarke proved himself to be a diligent and popular soldier. He was a keen athlete with a zest for life. A man with evident potential, he was quickly noticed for his proactive approach to soldiering. This has been a tragic loss of a young man who had a promising career ahead of him. He will be greatly missed by all members of the Regiment.